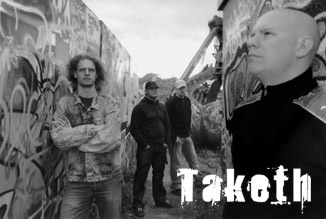 Taketh is a melodic death metal act from Linköping, Sweden. Formed in 2001 by Mikael, David and Johan. Despite the other positions changing serveral times over the years Taketh has slowly grown into a force to be recognized. In 2005 Taketh landed a deal with Dutch label Fear Dark and released the debut album 'Freakshow' in September the same year. Having toured Europe to promote Freakshow, Taketh is regrouping for the release of their second album.